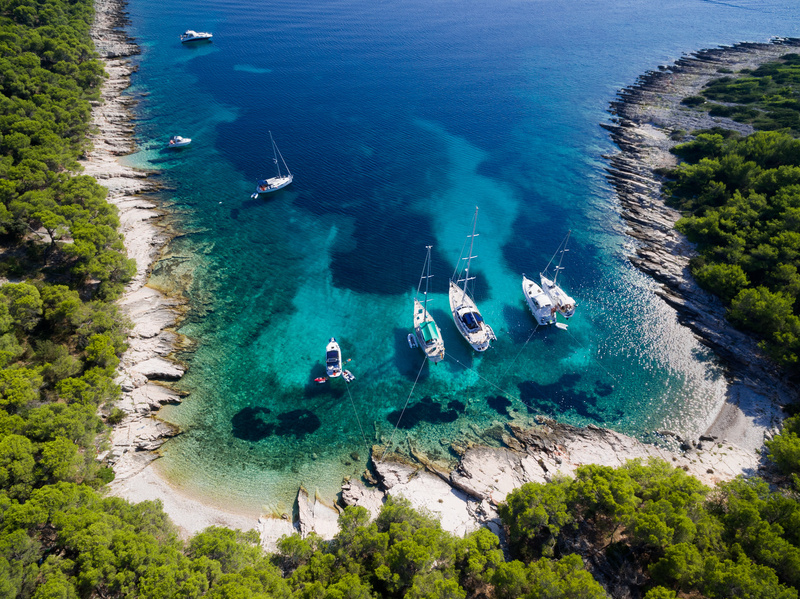 As Šibenik becomes the inevitable nautical center thanks to the development of its marina Mandalina, I have decided to introduce an interesting sailing route through the Šibenik archipelago. You will probably be able to take off on Saturday afternoon because almost all charter companies schedule their check-ins at that time. 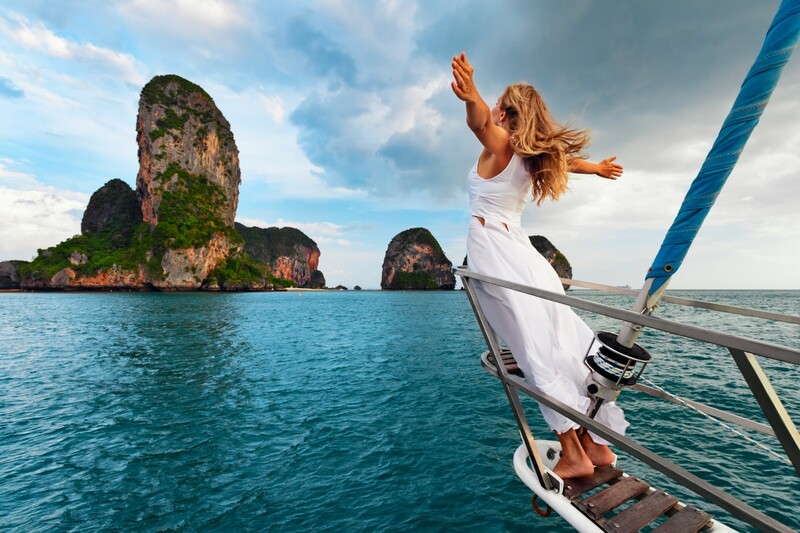 To find the best charter base, check the Where to charter section of our site A Yacht Charter Croatia. It would be excellent to choose Skradin as your first destination. It is a city deep in the mainland, in the mouth of the river Krka, which makes its way through karst, creating amazing cascades and waterfalls. 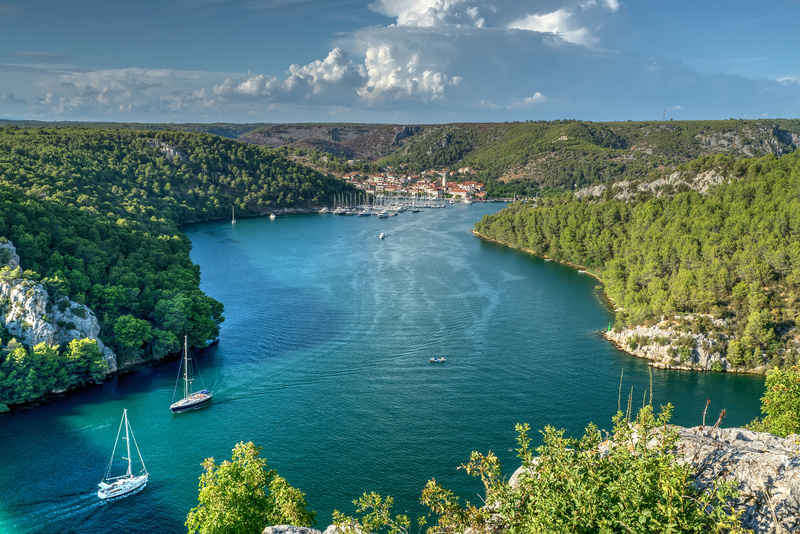 The following morning you can visit Krka National Park and then sail back through the Krka estuary until you reach the open sea. 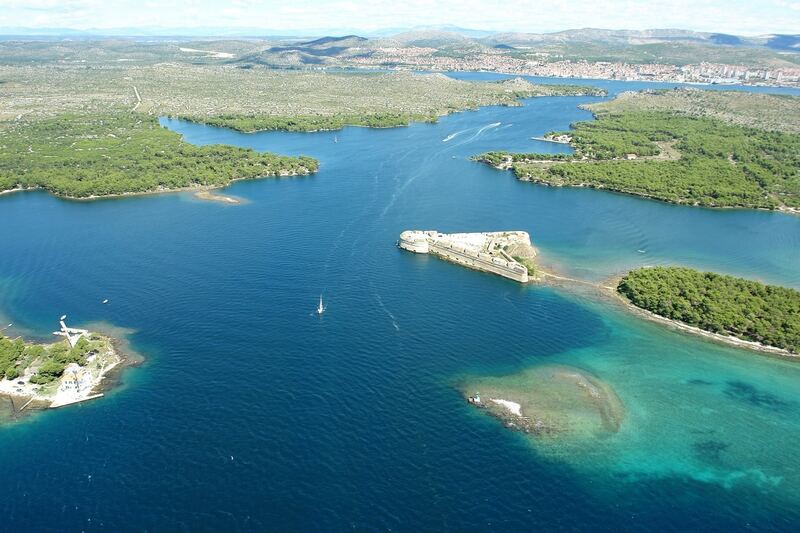 Just a few miles from Šibenik, you are about to reach Prvić Island. Since “prvi” in Croatian means “the first”, this island would literally be the first one from Šibenik towards the sea. In Prvić Luka, there are around ten moorings along with approximately twenty buoys. The calm night can be spent in one of the restaurants offering mainly seafood. Depending on the wind, take either the north or south direction, make a turn around the island of Tijat and continue your way towards the island of Kaprije. You will find a safe berth in the harbor of the same name on the western coast of the island. 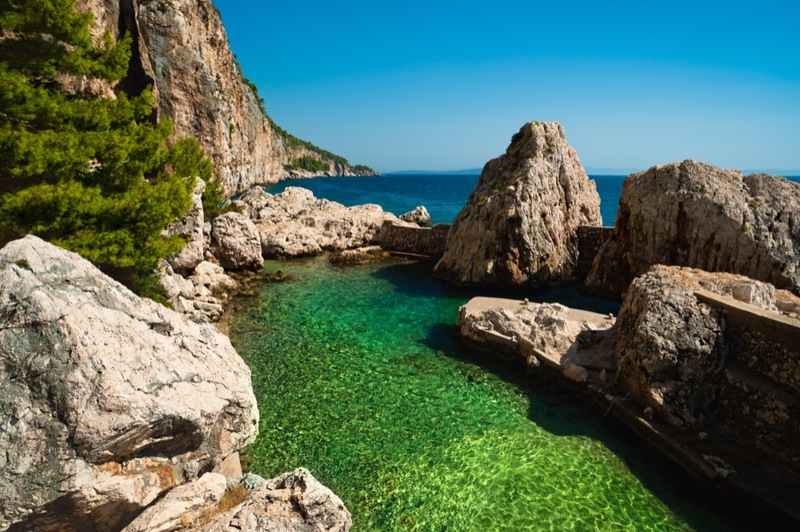 The next day can be reserved for a longer leg of sailing all the way to Smokvica Island, at the south entrance to Kornati National Park. There is a safe cove Lojena, with moorings belonging to a few restaurants which serve local Kornati specialties. Another day of sailing is reserved for approximately 11 miles of sailing southeast to the island of Žirje. A bay under the name Vela Stupica is a safe anchorage that offers you a peaceful and calm night. It would be nice to spend the final night under the stars before you return to your base. The best possible place to do that is in Tijašćica Bay on the island of Tijat. Around twenty buoys are waiting for you, along with the best tuna steaks ever, at Neno’s bar on the northeastern shore of the bay. 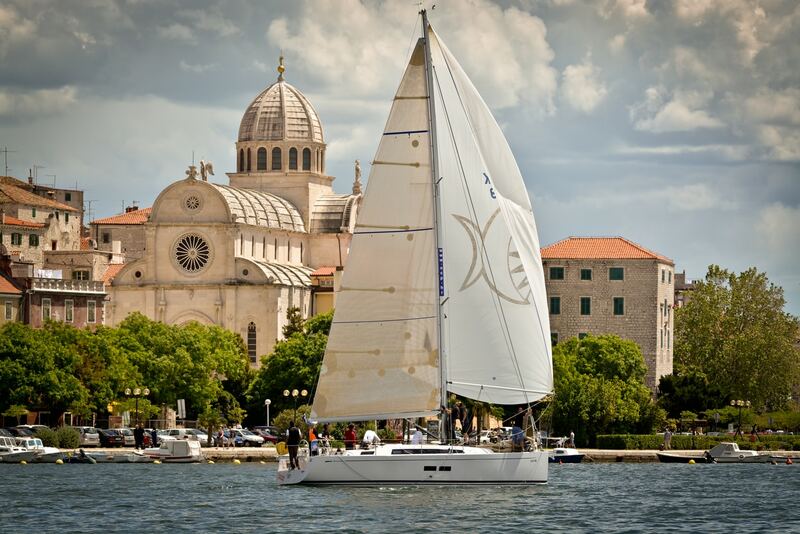 We are interested in sailing (with skipper) from Split or to Dubrovnic on short terms. Preferably in a group. At the moment we are in Zadar. Do you think that is possible? Another good reason to ban reloniig. I'm not talking about faith, one can believe in what ever or who ever they so choose. It's religion itself that should be banned and this is just another reason why.